Percy Purcell was born on Valentine's Day, February 14, 1931, in Louisville, Kentucky. He enlisted in the Kentucky Air National Guard on February 19, 1953, and entered the Aviation Cadet Program of the U.S. Air Force on March 3, 1953, graduating with a commission as a 2d Lt and being awarded his pilot wings at Laughlin AFB, Texas, on December 3, 1954. After completing fighter gunnery training and F-84 Thunderjet Combat Crew Training, he was assigned to the 468th Strategic Fighter Squadron at Turner AFB, Georgia, flying the F-84, and later the F-100 Super Sabre, from August 1955 to April 1957, followed by service on the staff of the 31st Fighter Bomber Wing at Turner AFB from April to September 1957. His next assignment was as an F-100 pilot with the 307th Fighter Bomber Squadron at Turner AFB from September 1957 to October 1958, and then with the 12th Tactical Fighter Squadron at Kadena AB, Okinawa, from October 1958 to June 1961. 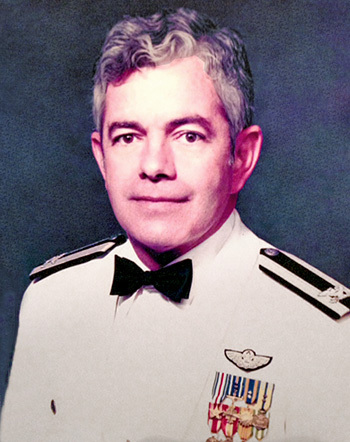 Capt Purcell then served with the 334th Tactical Fighter Squadron at Seymour Johnson AFB, North Carolina, flying the F-105 Thunderchief, from June to July 1961, and then on the staff of the 4th Tactical Fighter Wing and the 4th Consolidated Aircraft Maintenance Squadron at Seymour Johnson AFB from August 1961 to September 1962. He flew with the 333rd Tactical Fighter Squadron at Seymour Johnson AFB from September 1962 to May 1964, and then deployed to Kadena AB, Okinawa, for a second tour with the 12th Tactical Fighter Squadron, serving from May 1964 until he was forced to eject over North Vietnam and was taken as a Prisoner of War on July 27, 1965. After spending 2,758 days in captivity, Col Purcell was released during Operation Homecoming on February 12, 1973. He was briefly hospitalized at Wright Patterson AFB, Ohio, and then received an Air Force Institute of Technology assignment to complete his bachelor's degree in Political Science at Bellarmine College in Louisville, Kentucky. His final assignment was at Carswell AFB, Texas, where he retired from the Air Force on September 1, 1980. Percy Purcell died on December 6, 2009, and was buried at Arlington National Cemetery. 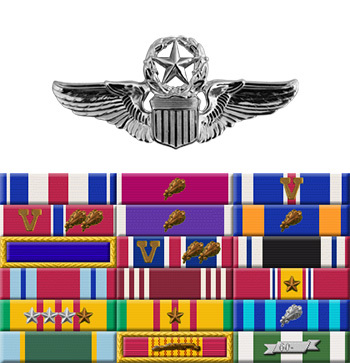 This officer distinguished himself by gallantry in connection with military operations against an opposing armed force while held Prisoner of War in North Vietnam. After a planned escape from the "Zoo Camp", the enemy launched into a massive torture purge attempting to gain prisoner secrets and propaganda materials. Tortured well beyond the normal threshold of pain, Colonel Purcell continued to resist the enemy. By his gallantry and devotion to duty Colonel Purcell reflected great credit upon himself and the United States Air Force.